The Electromagnetic Pulse Special Interest Group (EMP SIG) addresses any high-impact threat that could cause long-term nationwide collapse of critical infrastructure. These threats include EMP, extreme space weather, cyber attacks, coordinated physical attacks or widespread pandemics. The EMP SIG provides trusted communications and information for InfraGard members active in any critical infrastructure in any community to enhance planning, mitigation, and sustainable infrastructure. The EMP SIG attracts leading subject matter experts who have agreed to join advisory panels and make themselves available for local InfraGard chapters that may need their special guidance. The ultimate goal of the national EMP SIG is to assist local communities to enhance their own sustainability with a special emphasis on developing local infrastructure capacity from areas as diverse as local power generation and storage to local food production. InfraGard’s EMP SIG plans to continue its role in fostering public/private cooperation in a comprehensive “all-of-nation” approach to disaster mitigation and planning. InfraGard members may join the EMP SIG on the InfraGard secure website. To join InfraGard and have access to the secure site, apply on the homepage of http://www.InfraGard.org. The first time that a broad range of military and civilian government agencies and their private sector counterparts led contingency plans for nationwide collapse of critical infrastructure that could last for more than a month was in October 2011 when the National Defense University, the US Congressional EMP Caucus, InfraGard National’s EMP SIG and Maryland’s Emergency Management Agency co-hosted a series of workshops and exercises covering these scenarios focusing on geomagnetic disturbances. 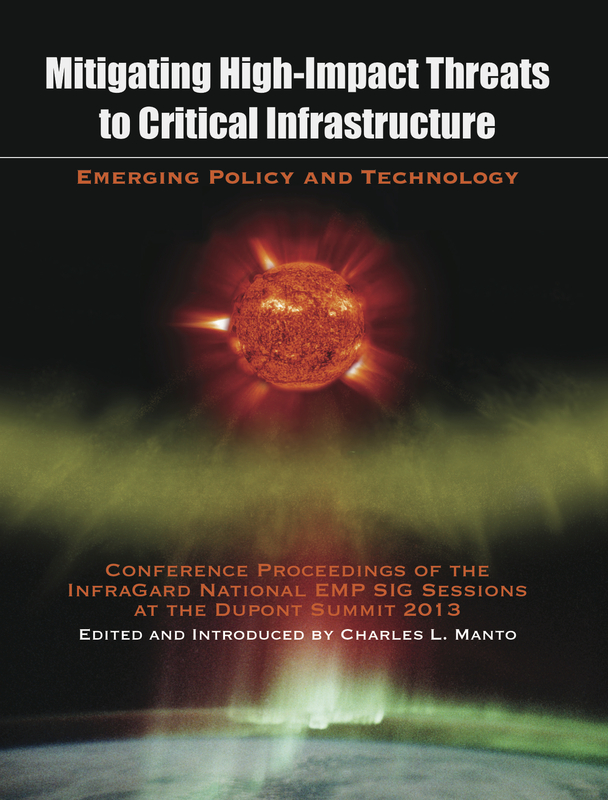 Since then, the InfraGard National EMP SIG led sessions each year at the Dupont Summit. The sessions covered high-impact threats to critical infrastructure with a special emphasis on geomagnetic disturbance (GMD), and the contingency planning workshops and exercises with the National Defense University and the Maryland Emergency Management Agency. This conference included analysis from NOAA of the July 23, 2012 super solar storm near miss, and research on these impacts on power grids presented at a by-invitation-only session the day before by a number or organizations led by Idaho National Laboratory. For upcoming events and more information see the EMP SIG section of the National InfraGard secure website or contact the EMP SIG Chair, Chuck Manto, at cmanto@stop-EMP.com.